When you dig into MBL, it is not complicated. In fact, in so many ways, it brings common sense back to education. Success in an MBL program is defined by the achievement of competencies, not intangible performance measures or student-to-student comparisons. Progress — and success — is dependent on the completion of various tasks rather than seat time as is the metric used in most states (for example, in my state of California, students must attend class 175-180 days a year to pass that grade). In MBL, students are given multiple opportunities to improve work that doesn’t meet expected standards. They aren’t allowed to give up. Student achievement is evaluated against school learning standards and performance expectations. Assessments are competency-based and referenced to school learning criteria. These can take any form as long as they measure student achievement. Grades are to facilitate and improve learning, not judge students. Formative assessment is critical in an MBL program because it informs instruction with a goal of assess progress rather than rating work. Students are partners in Mastery-Based Learning. They are expected to make decisions about how they can learn, not simply follow the teacher lesson plan. They progress when they are ready and do not have to repeat work they already understand. In a Mastery-Based program, a successful student is no longer defined as the one who arrives at school on time, homework completed, in their seat attentively listening to a teacher lecture. Now, proof of learning requires evidence that the student understood the concepts, achieved the skills, and completed required tasks. To facilitate this, students are met where they are in their learning, not where the grade level says they should be. For example, the third-grade student who loves math and moves effortlessly through the Khan Academy lessons for his grade level is encouraged to continue to the 4th, 5th, even middle school offerings. Conversely, the 4th grader who still struggles with division is made to feel comfortable taking all the time s/he needs, trying different methods, until mathematical division makes sense to him/her. Only then does s/he move on. Grades are awarded but never connote failure. They go from “Exceed” to “Not yet”. “Not Yet” — there’s a but after that which says Soon. Keep working. Students don’t pass or fail — they always pass, and that happens when they conquer the required skills. Mastery-based learning used to be considered preparation-intensive. Teachers had to prepare enough material to allow fast students to speed ahead and challenged students to dig deeper. Now, with online personalized learning options like CK12 and Khan Academy, this differentiation is easier to create making it a good fit for limited teacher time. 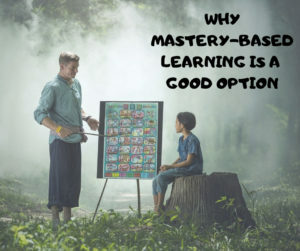 Here I need your help: I understand Mastery-Based Learning requires more than an hour learning block at a time because most teachers roll out the lesson for an hour and then students work independently to learn it for another hour. If you are an MBL school, is this how it works? Can you share your experience in the comments section below? If your traditional system of learn the material, take a test, move on isn’t working. If you use a system that spirals learning (like Everyday Math), or circles back constantly on specific skills. If your school wants to move away from grading. 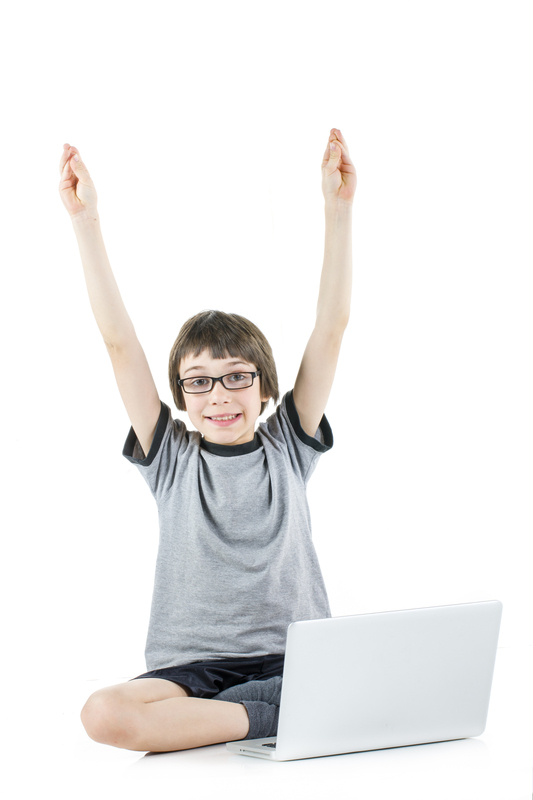 If your school is developing a robust online learning option for students. If your school struggles to accommodate the high-achievers while meeting the needs of the rest of the class. If your school follows the principles of “growth mindset“. If you feel like you aren’t well-serving your at-risk and disillusioned students. Over the past decade, it has become painfully obvious that the one-size-fits-all education envisioned when public schools first broke onto the American education scene works for some and leaves others behind. Personalized learning has become a popular buzzword for how to fix things. When this somewhat free-wheeling option is blended with the structure of Mastery-Based Learning, many schools find that it turns students who thought they “just weren’t smart enough” into lifelong learners.